management, change management, and other constructs. Call or email to discuss your thoughts and needs. 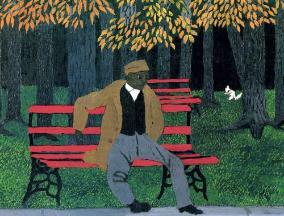 Right: Horace Pippin, Man on a Bench, 1946, oil on canvas. Internship, Brandywine Museum of Art. 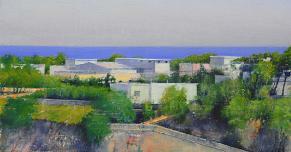 Left top: Joe Nicoletti, Adriatic Sea, Otranto, Italy, 2008, oil on canvas. Client Bates College Museum of Art. Photo, Nicoletti. 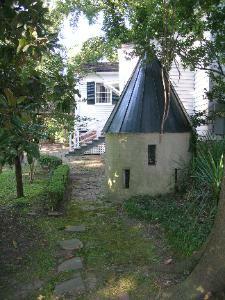 Left bottom: The Buttery, The Oaks House Museum, Jackson, Mississippi. Client:: The National Society of The Colonial Dames of America. Photo, Rollins.